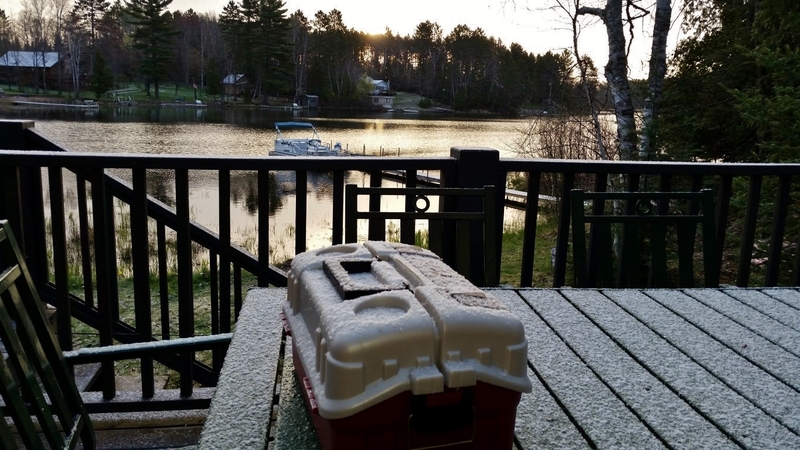 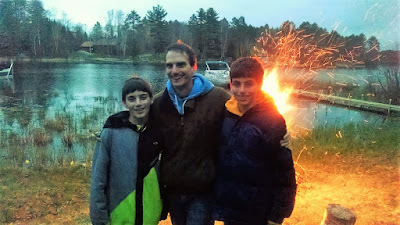 The weather was a bit unsettled for our first-time visitors to the lake. In fact, it was srlsy cold. Cold, rainy, cold, windy, cold, snowy and more cold. 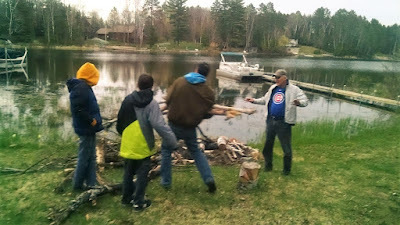 But, we were determined to do some fishing (more on that later), and caught a few, but not enough for a fry. 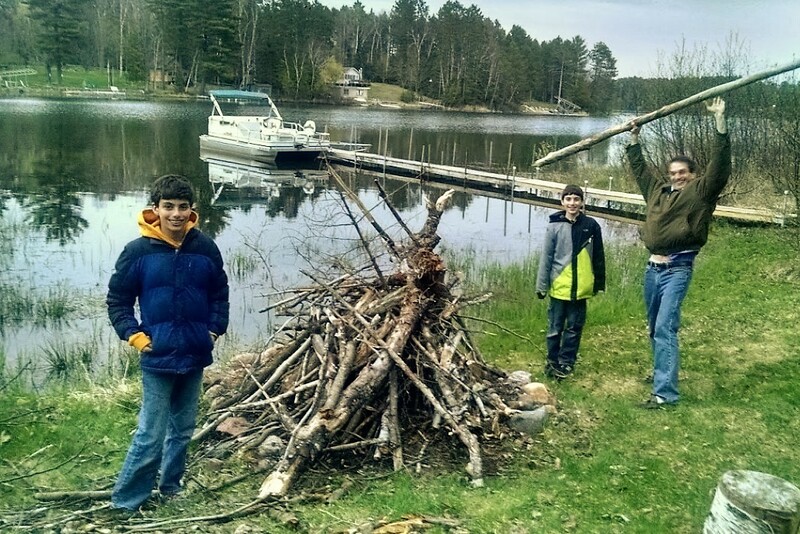 With no fish, we needed to work on other dinner plans. 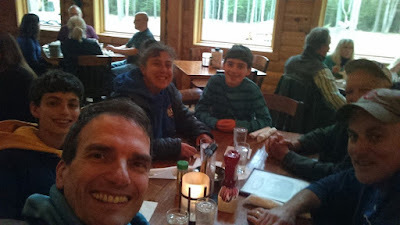 Ken & Donna insisted on buying us dinner, so we took then to the finest in local cuisine, the Up North Lodge. 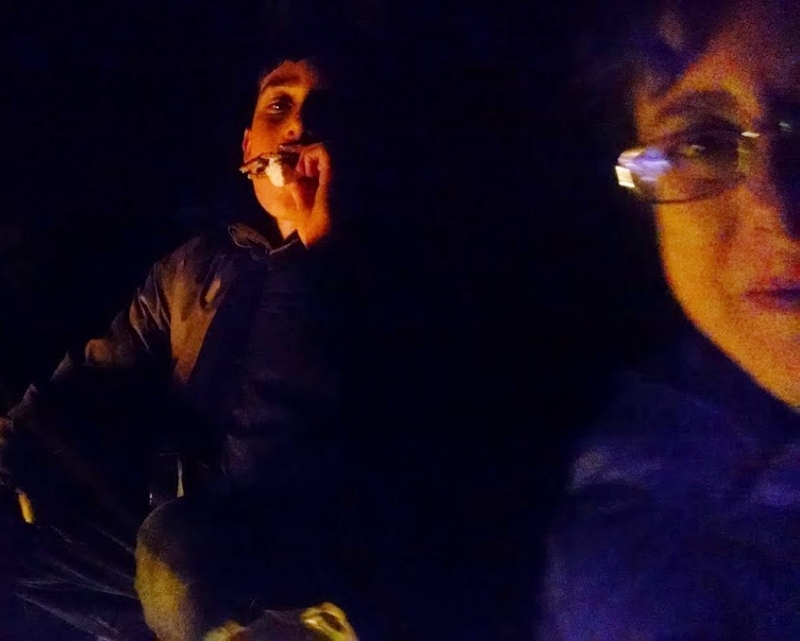 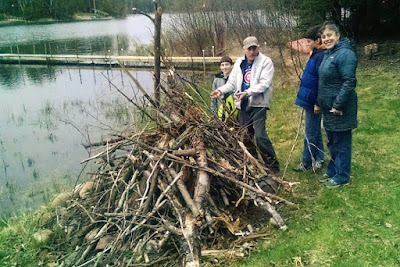 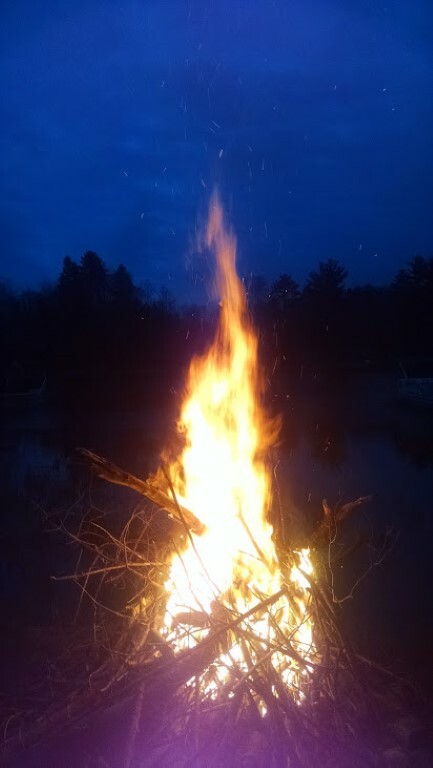 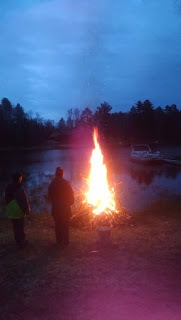 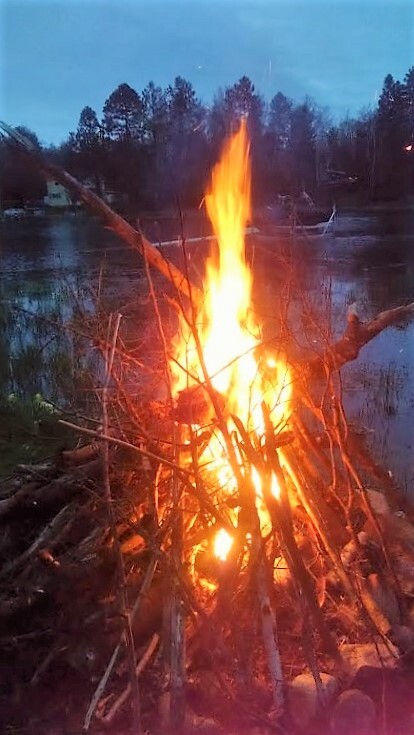 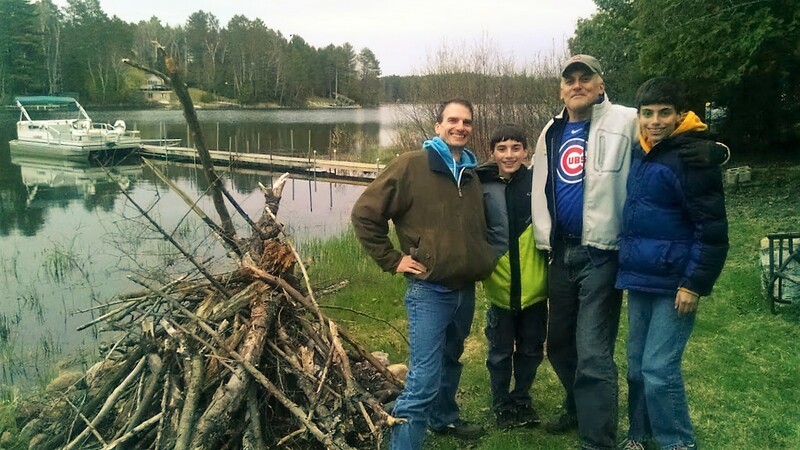 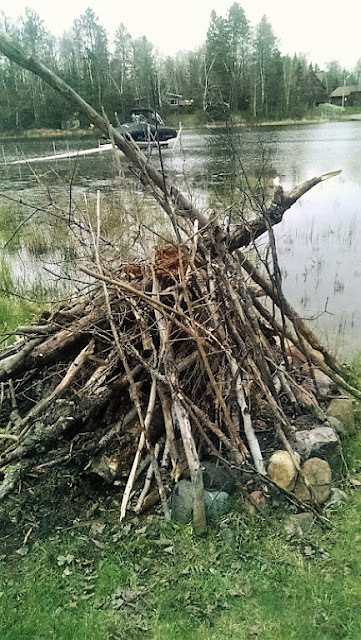 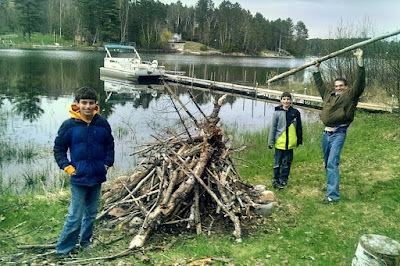 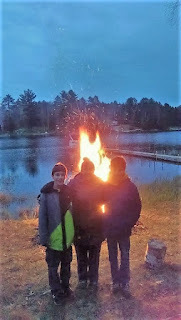 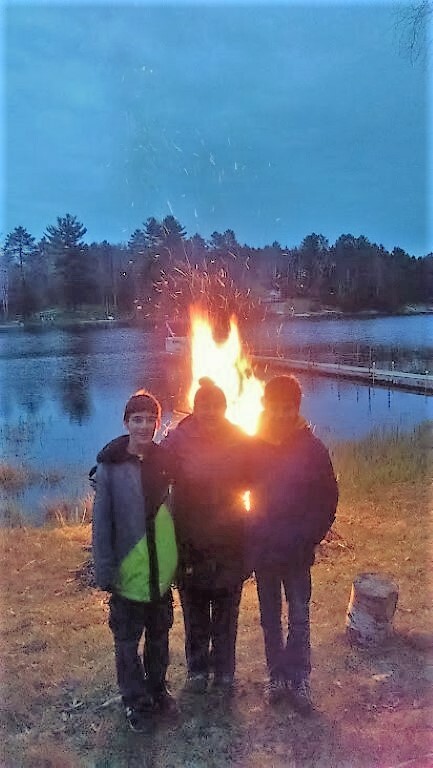 A bonfire is a necessary part of the Shag Lake experience. 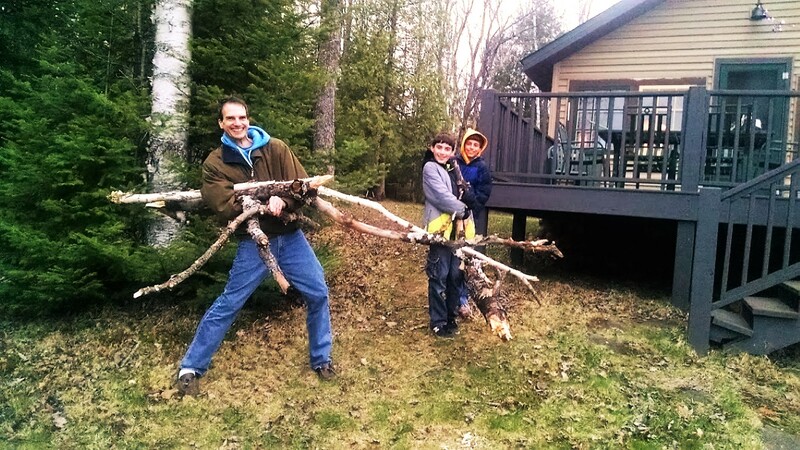 On the drive home, I pointed our guests to felled trees to fuel the fire. They did a nice job of collection. 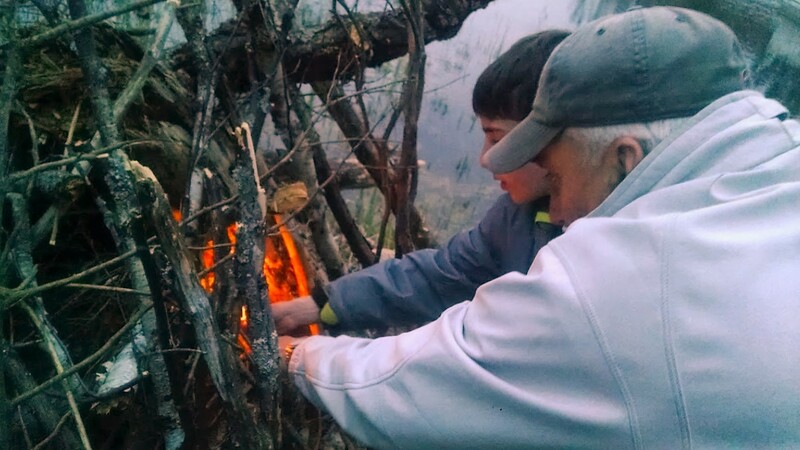 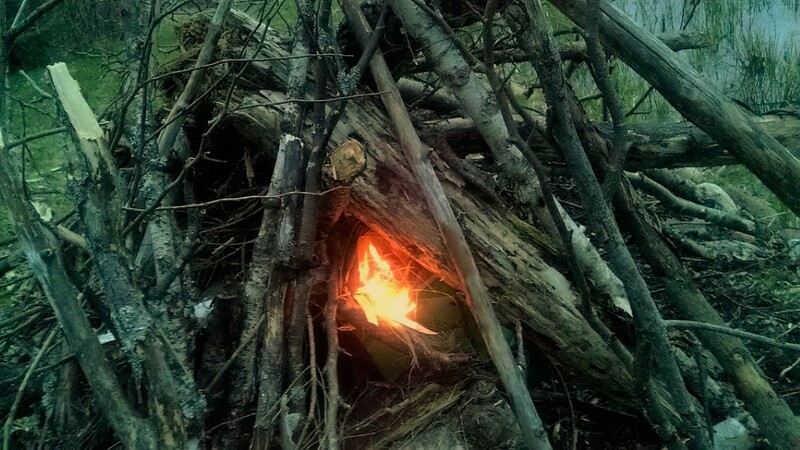 I also provided expert guidance on my "Make a Giant Pile of Wood and Burn it All at Once" bonfire construction technique. David successfully ignited the bonfire with a single match. 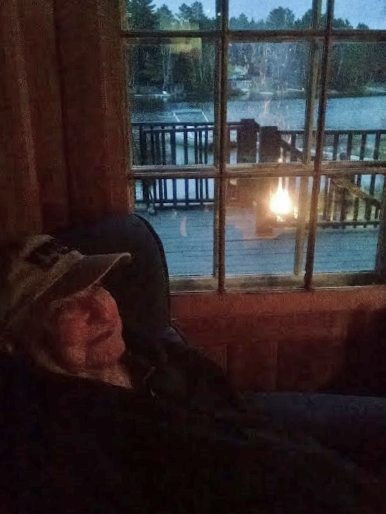 Some chose to enjoy the fire from the comfort of the house. 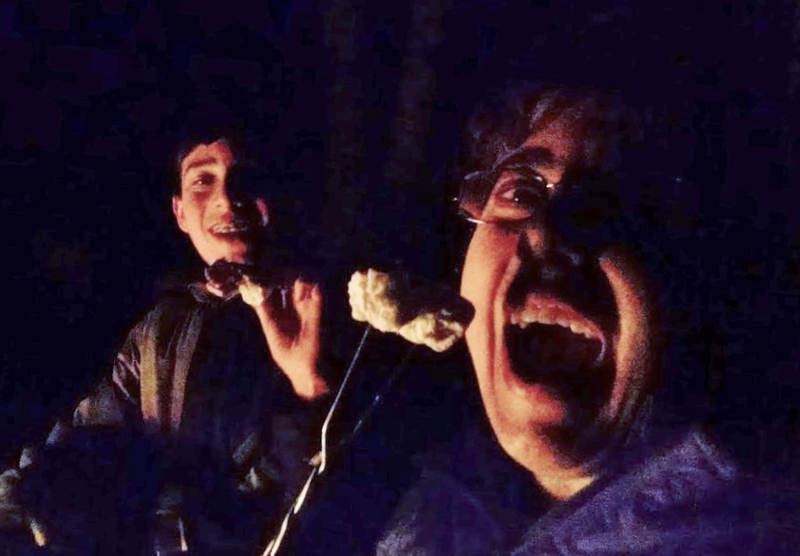 Others succumbed to the temptation of campfire s'mores, as seen in this disturbing series of images. All in all, a world class conflagration.